Key Difference: Visually impaired is a blanket term that refers to a condition where the person does not have a perfect or near perfect vision, which cannot be repaired via usual means, such as glasses or contacts. The term blindness defines a condition where the person cannot see anything, i.e. complete or nearly complete vision loss. Blindness is technically a part of visual impairment. One may have some across the terms Blind and Visually Impaired and may have even used the terms without realizing what those terms actually mean. While both the terms refer to a disability where someone has trouble seeing, the two are two different terms with different implications. 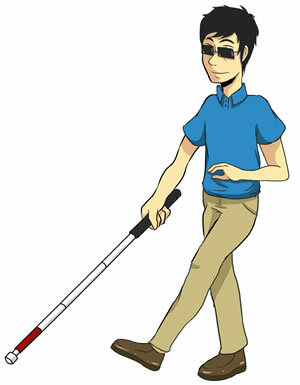 However, the term blindness defines a condition where the person cannot see anything, i.e. complete or nearly complete vision loss. Even though, blindness is technically a part of visual impairment, it is often deemed as a separate categorization in order to differentiate it from the less severe visual impairment. The categories of moderate visual impairment combined with severe visual impairment are grouped together as ‘low vision.’ While, low vision incorporating blindness represents all visual impairment. Visual impairment can be caused by a multitude of factors, primarily by uncorrected refractive errors, such as myopia, hyperopia or astigmatism. These account for approximately 43% of nearly all visual impairment cases. Cataracts are another cause for visual impairment. They account for nearly 33% of all cases, whereas glaucoma accounts for about 2% of cases. Visual impairment can also be caused by age related issues, diabetes, vitamin A deficiency, accidents, damage to the eye, etc. 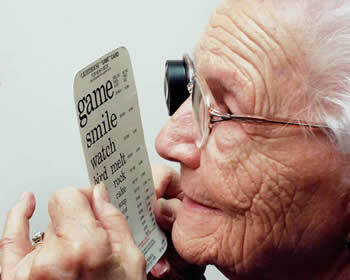 In fact, a number of visual impairment can be avoided with proper medical care at the right time. A number of these cases exist primarily because the person does not have access to correct medical procedures to get glasses, contracts or the surgery required to correct the impairment. About 90% of visually impaired people are people living in poverty. According to statistics by WHO, about 285 million people were estimated to be living with visually impairment in 2014. Of that, about 39 million were blind and 246 million had low vision. WHO also states that about 80% of all visual impairment cases can be prevented or cured with the right medical practices.